Generations after psychologists Kenneth and Mamie Clark’s 1947 doll test experiment on racial identification (which has been updated several times over the past decade with similar results), children’s images of whiteness remain rigidly framed through the lens of humanity, civilization, ingenuity, genius, beauty and morality. When children of color see themselves at all in American film it is as ethnic exotica, sidekicks for the enterprising white boy/girl protagonist or fly-in-the-buttermilk diversity mascots fleshing out a classroom scene. According to a 2012 study by the USC Annenberg School, 76.3% of all speaking characters in American film were white while whites comprise 56% of U.S. ticket buyers. By contrast, Latinos comprise 26% of ticket buyers and 17% of the U.S. population, yet account for only 4.3% of speaking roles in film. Last year, the L.A. Times published an in-depth analysis of the race and gender demographics of the Academy of Motion Picture Arts and Science’s members. The Academy Awards generate millions of dollars for an industry that remains one of the most stubbornly Jim Crow corporate bastions in the world. Not surprisingly 94% of Academy members are older, white and male. The majority of Southern California members live in some of the most segregated enclaves in Los Angeles, safely tucked away from the black and Latino hordes in their super elite lily white Beverly Hills, West L.A. and Santa Monica neighborhoods. Even though the array of generous tax incentives offered in other states have displaced Los Angeles as the center of American film production the city still profits hugely from the industry and cheap non-living wage labor. In July, African American marketing executive Cheryl Boone Isaacs was elected Academy president. Despite this nod to “diversity”, the Academy’s Tea Party demographics speak to the greater issue of film representation in front of and behind the camera. According to Annenberg only 8% of directors, 13.6% of writers and 19.1% of producers were female, while the numbers were even more abysmal for people of color. Commenting on this regime acclaimed writer-director Ava DuVernay (the first black woman to win a Sundance Film festival Best Director award) quipped that, "I pretty much know us all personally." Seeking to redress these disparities, DuVernay spearheaded the African American Film Festival Releasing Movement (AFFRM) in 2011. But the gross disparities in film industry hiring, casting, promotion and “greenlighting” are also buttressed by the complicity of print media. Despite their waning status as media leaders, the executive and editorial staff of the L.A. Times, New York Times and Wall Street Journal play an important role in upholding the film industry’s corporate pigmentocracy. 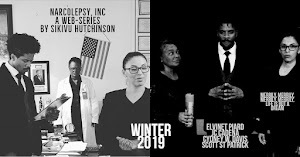 Thus, while there have been numerous articles in these corporate newspapers hailing the increase in strong complex roles for white women in TV and film there has been no recognition of the continuing dearth of artistic opportunities for women of color. Indeed, the L.A. Times entertainment section only deigned to identify one or two (non-musician) people of color in its 2014 “Faces to Watch” pictorials. 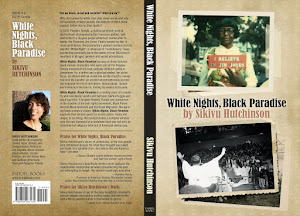 Sikivu Hutchinson is author of Godless Americana: Race and Religious Rebels and Moral Combat: Black Atheists, Gender Politics, and the Values Wars. "No one ever discussed Trayvon Martin with us in class," said Sydney, an introspective 9th grader, wistfully. 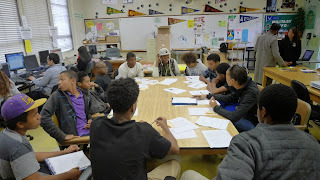 Sydney is a participant in my Young Male Scholars pilot at Gardena High School in South Los Angeles. He and a dozen other 9th and 10th graders are having a spirited discussion about the impact of Martin’s murder on the criminal justice system in Gardena’s college center. According to the school’s college counselor black boys are a “rarity” in the center and our small meeting is the largest number that he has ever seen here. On a campus where black students are the second largest ethnic group next to Latinos, black males are either pounced on by military recruiters or left to fend for themselves, implicitly branded as troublemakers and potential dropouts. Our discussion about the political implications of Martin’s murder took place a day before the death of Nelson Mandela. As the world mourns Mandela and president Obama touts an eleventh hour focus on “income inequality” neo-apartheid conditions in American education continue to fester. Last week was bookended by two powerful education reports which indirectly indicted the myth of American exceptionalism. 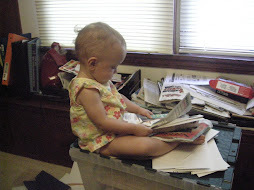 The 2012 Program for International Student Assessment (PISA) showed that American students remained static in reading and science and were well below average in math, falling from 29th to 31st in global rankings. The Campaign for College Opportunity’s "The State of Blacks in Higher Education: The Persistent Opportunity Gap" illustrates the devastating impact of California’s anti-affirmative action policy. In the Los Angeles Unified School District (LAUSD), the class of 2017 (this year’s 9th graders) will be required to have college prep classes in order to graduate. They must earn a C or better to do so. They will have to achieve this feat despite the Obama administration’s Race to the Top emphasis on high stakes tests that narrow the curriculum, undermine critical thinking and force teachers to be glorified proctors. Nationwide, black students are the least prepared for college, have the lowest enrollment in honors and college prep classes and the highest drop-out or push-out rates. The LAUSD requirement is set against the backdrop of deepening unemployment, prison pipelining and black male homicide rates. According to the Education Trust, “If current trends continue only one in twenty African American students will go on to a four year college or university.” The forty eight black males in UCLA’s incoming class are swimming in a sea of over 5000 new students. Enraged by these stats, black male UCLA students recently released an activist video critique which went viral. But despite renewed attention to racial disparities in college access there is no federal, state or local policy or call to action that specifically addresses the fact that young African American male high school students are routinely dismissed as not being college material. Youth of color, like white kids, are trained to see explicit acts of individual prejudice as the only standard for racism rather than institutional racism and white supremacy. So when Brandon and I discussed how mass incarceration was devastating our school-communities some of the boys in the group said that “bad environments” and “bad choices” simply lead black youth to commit more crime. But after examining disproportionate crack cocaine use amongst white males and unpacking how legacy admissions policies allow mediocre white students like George W. Bush get into Ivy Leagues the students’ consciousness began to shift. Not seeing themselves in the curriculum, public education socializes them to believe that disproportionate numbers of their brothers and sisters are in prison due to bad choices while college is the reward for the elite few who make good ones. Teaching them to see the connection between the racial politics of college access and the invisibility of Martin’s murder in their high school curriculum is a step toward defying this criminal mis-education. 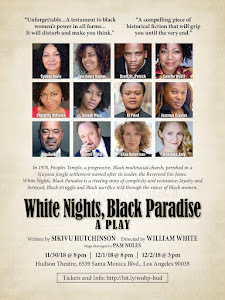 Sikivu Hutchinson is the founder of the Women's Leadership Project and the author of Godless Americana: Race and Religious Rebels and Moral Combat: Black Atheists, Gender Politics, and the Values Wars.